Bon Jovi ,are without doubt one of the biggest super groups in music history with hits spanning 3 decades since 1984, they are Grammy award winners and in 2010, were inducted into the Rock and Roll Hall of Fame. They have sold over 120 million Albums worldwide have produced 13 Albums with some 25 singles charting. In 2010 they completed their 10th world tour performing in 30 counties across the globe. 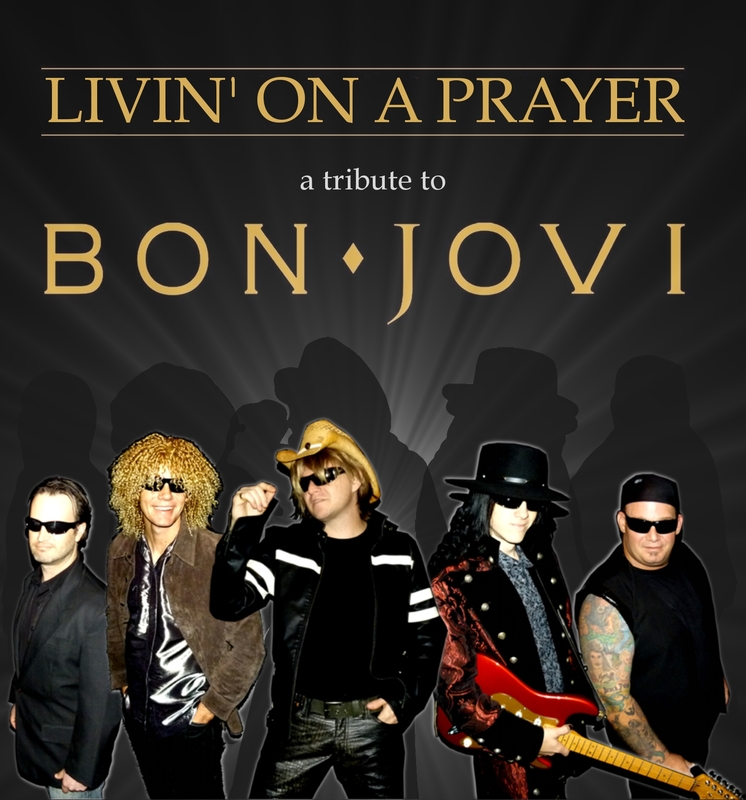 At last, presenting “Living on a Prayer” the Bon Jovi Show a brilliant homage to the superstar stadium rockers from New Jersey. All the hits and favourite album tracks faithfully reproduced in a dynamite show full of high octane rock anthems. Bad Medicine, Dead or Alive, You Give Love a Bad Name, Blaze of Glory and arguably the greatest rock anthem of all time, “Living on a Prayer “. 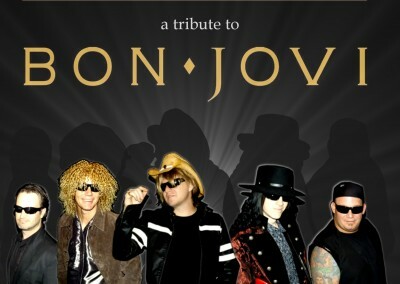 A fantastic stage show, all the searing vocals, mind blowing guitar solos , fabulous harmonies and unmistakeable punchy rhythms are all featured in this show, executed by outstanding musicians dedicated to bring the punter the true Bon Jovi excitement. “Summer of 69” The Bryan Adams experience.